NO. 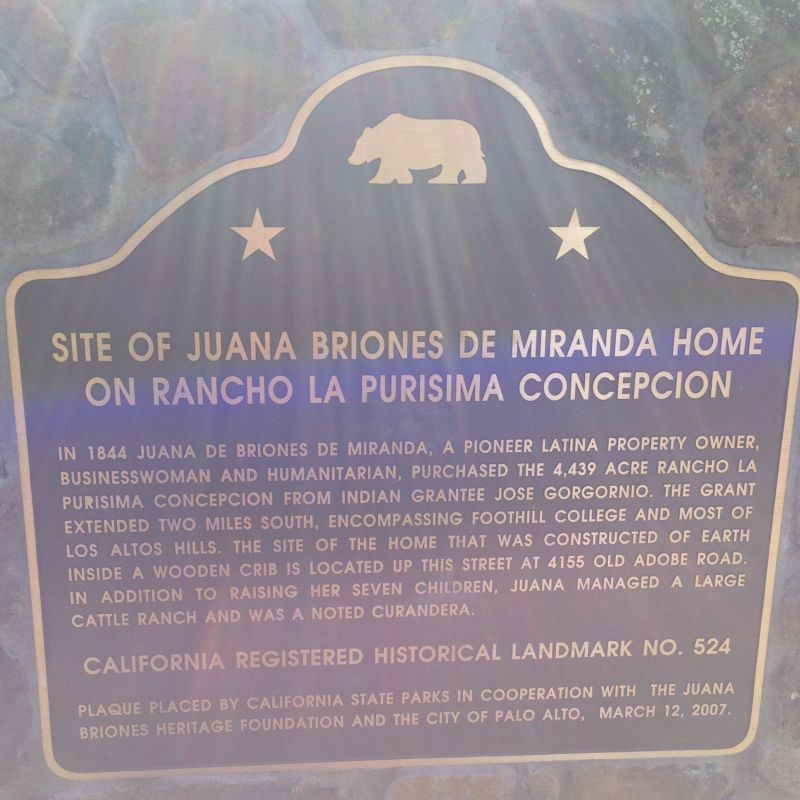 524 SITE OF JUANA BRIONES DE MIRANDA HOME ON RANCHO LA PURÍSIMA CONCEPCIÓN - In 1843 Apolinario Miranda, husband of Juana Briones de Miranda, was sent before the subprefect for not living harmoniously with his wife and, shortly thereafter, Juana and her seven children arrived at Rancho la Purísima Concepción. In 1856 this property was duly confirmed to her, and she lived in this adobe until, crippled by rheumatism, she was forced to move. There is nothing left at 4157 Old Adobe Road or 4155 Old Adobe Road. 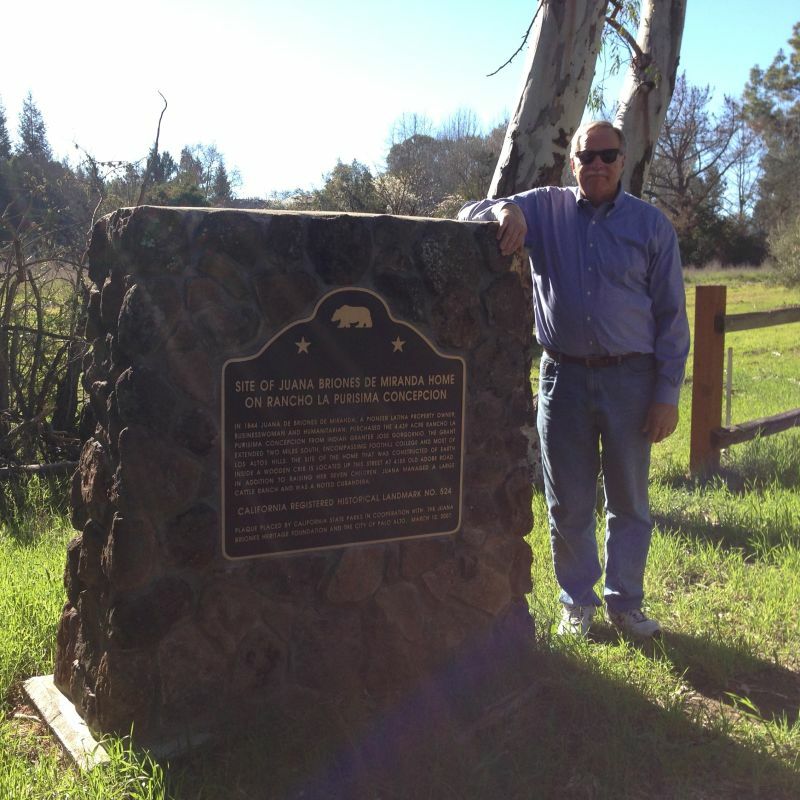 There is a state plaque near by at the intersection of Old Adobe Road and Old Trace Lane.